Comprehensive Knowledge in Civil Engineering software play a pivotal role in shaping up the engineers competent to the present day construction scenario. The center has the modern computers of latest configurations. 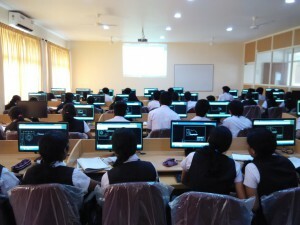 The computer center is equipped with sophisticated software facilities for training UG and PG students in areas of structural, geotechnical and project planning. The center also caters to the needs of the post graduate (Goemechanics & structures) students of the civil engineering department. The center is actively used for the research work in Computer-aided analysis, design of structures and geotechnical engineering. 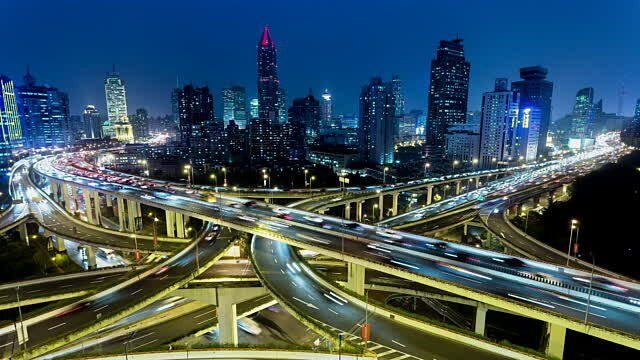 The planning and design of all Civil Engineering projects such as construction of highways, bridges, tunnels, dams etc. are based upon surveying measurements. Moreover, during execution, project of any magnitude is constructed along the lines and points established by surveying. 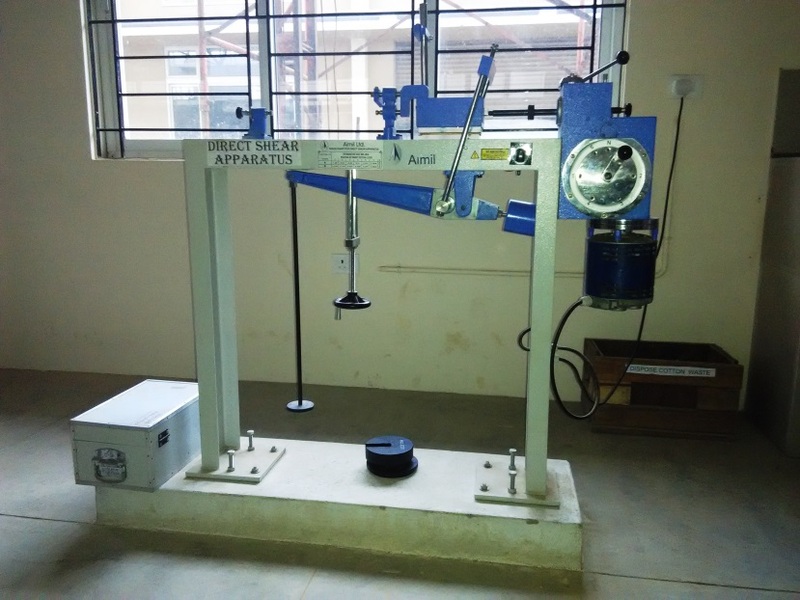 The laboratory has modern instruments which are extensively used in order to edify the students about the latest surveying methodologies. 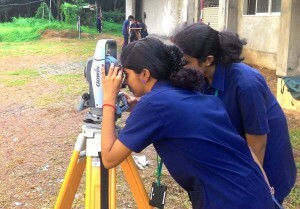 Total stations are being used extensively for all survey works. 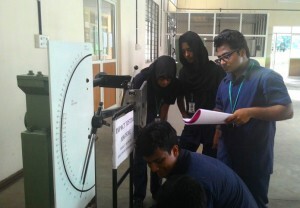 Annual survey camps are held for 2 weeks for pre final year students. Lab Instructor: Mr. Hijan N.J.
Transportation has always played an essential role in the development of society, originally with regard to trade routes and harbors, but more recently with regard to land and air based systems as well. The main objective of developing transportation engineering laboratory is to provide a platform for the B Tech students for practical implementation of Transportation engineering projects, thereby uplifting the standards of the students to industrial level. 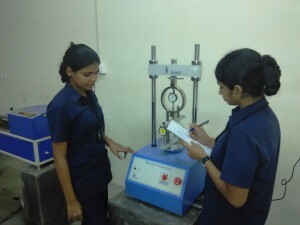 The laboratory is well equipped with latest instruments with advanced testing facilities. Material testing laboratory familiarizes the students with the testing procedure of materials used in civil engineering discipline like – cement, aggregate, concrete, steel timber, bricks etc. The need for compliance with current standards and specifications for materials is also stressed in the course. The laboratory facilities are provided in such a way that it gives a clear understanding of the behavior of the materials namely the physical properties, mechanical properties; suitability of material for use in construction, material selection code provisions, etc. This knowledge is of paramount importance in order to establish the relationship between material properties and the overall behavior of a structure. The need for compliance with current standards and specifications for materials will be understood through tests on materials. 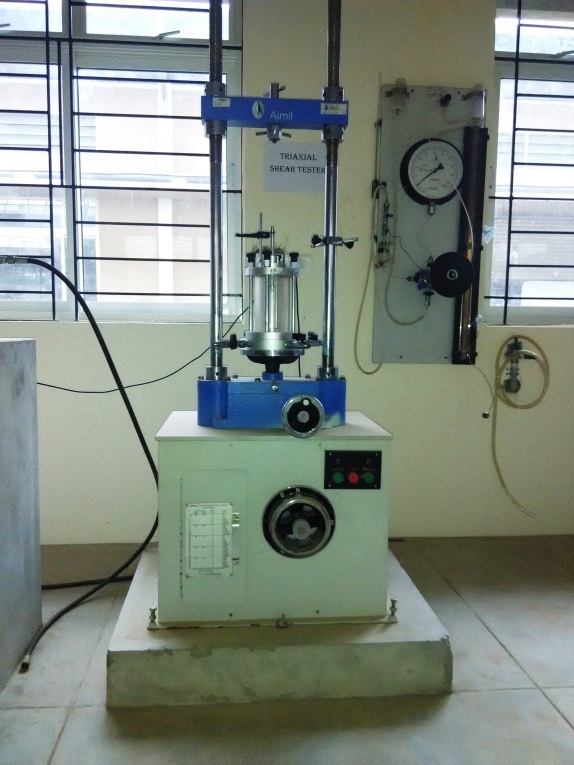 The state of art facilities for concrete mix design and material testing are being utilized by various construction companies through the consultancy cell. The material testing laboratory is designed to serve the research works in concrete technology.